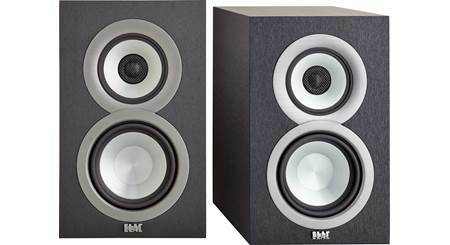 Experience dynamic, crystal-clear sound for your music and movies with PSB's Imagine XB bookshelf speakers. Read more from Crutchfield writer, Dave B. By buying this product you'll earn up to 500 Rewards points. Written by Crutchfield's Dave B. Experience dynamic, crystal-clear sound for your music and movies with PSB's Imagine XB bookshelf speakers. They provide impressive stereo sound in a 2.1 subwoofer/satellite system, or make excellent front-channel home theater speakers. The Imagine X line borrows driver technologies developed for PSB's sophisticated top-tier Synchrony speakers, giving you high-end sound at a budget-friendly price. The Imagine XB also features clean lines and a slim cabinet design that won't clutter up your listening room. The Imagine XBs feature a 1" titanium dome tweeter that effortlessly dishes out smooth, uncolored highs. Its 5-1/4" woofer use an advanced clay/ceramic-filled polypropylene cone design. This stiff, lightweight material helps them deliver midrange that's clean and balanced, with surprisingly punchy bass. It all adds up to realistic, detailed sound with a wide, deep soundstage that'll really draw you in. Most speakers don't include any. Read our article about choosing and installing speaker wire. Shop our selection of speaker wire. OMG! That NRC really shows when listening to these speakers. The Mike Jordan of surround sound! I have a slight hearing loss in the high frequencies so I need a speaker with a little bite in the highs. Would these speakers do? I bought these cause I'm not a fan of bite in the highs. i think you want Klipsch ( spelling ? ) They're known for a Brighter sound. 1" Tweeter: The PSB Imagine XB features a 1" titanium dome tweeter with ferrofluid and a neodymium magnet structure for extended high frequency response that remains distortion free even at extreme volume levels. 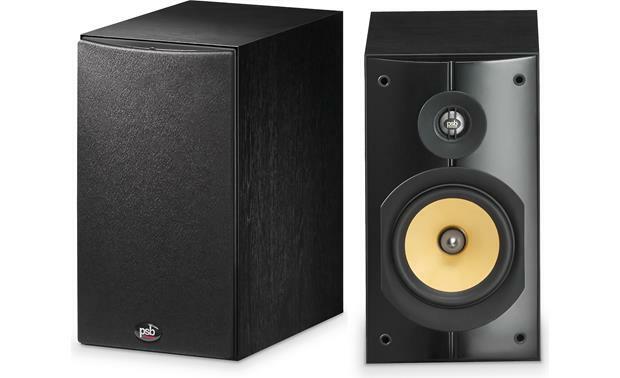 5.25" Woofer: The PSB Imagine XB houses one 5.25" injection-molded clay/ceramic reinforced polypropylene cone woofer with rubber surround that have been refined to improve stiffness, internal damping, and low mass. By optimizing the control and performance, the PSB engineering team was able to reduce the complexity of the crossover design. 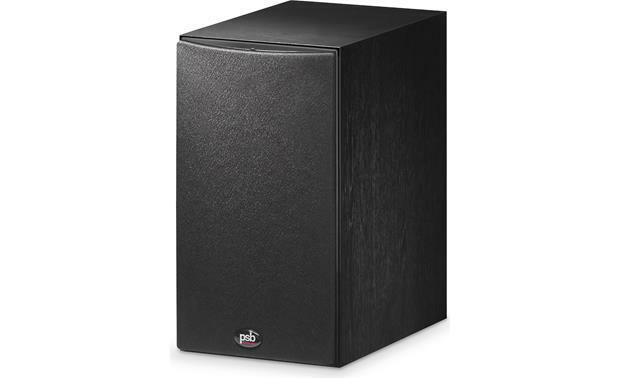 Bass Reflex Cabinet: The PSB XB bookshelf loudspeaker's critically tuned cabinet employs a rear-facing port for high sensitivity and extended bass response. A black ash wood-grain finish complements the slim cabinet to integrate seamlessly with almost any decor. Detachable cloth grilles also included. NRC (Nation Research Council): Through many years of research at the National Research Council (NRC) in Canada, home to one of the world's most advanced acoustical laboratories, PSB's design team has learned not only what people love to hear, but also how they hear it in a room. Critical to the Imagine X series design is this research into human perception of sound using double-blind listening tests. Double-blind testing removes any listener bias to give us the most accurate test result. It allows PSB to understand what is most important to listeners and allows us to create the ideal blend of performance and price for every application. In 1974, PSB was the first company to use the NRC for loudspeaker development and remains the most active user of the facility today. PSB's experience with the NRC, how they interpret the data and implement it into the design of the Imagine X series speakers, gives PSB a real advantage in speaker design. Mounting Options: The PSB XB bookshelf loudspeakers come with self-adhesive rubber feet to protect your AV furniture, stands, or shelf. The rubber feet help secure the speakers effectively and prevent against unwanted vibration. The rubber feet add 0.1875" to the height of the speakers. 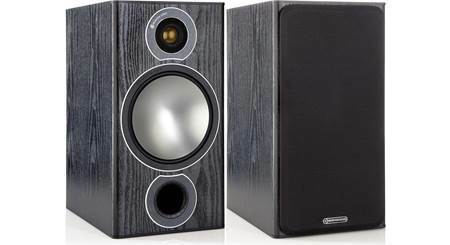 There are no threaded inserts or keyhole slots on back of the the speaker to mount it on the wall. However, you can use PinPoint's side-clamping bookshelf speaker wall mount system (121AM40B, sold separately) to wall mount the PSB XB speakers. Applications: The XB is ideal for smaller rooms or in concert with a powered subwoofer (sold separately) for a compact full-range system. The perfect timbre match with the X1T and X2T towers (both sold separately) also make the XB bookshelf loudspeakers a great choice for surround channels in home cinema installations. Will these match up with my pioneer sx 1250 receiver.? I don't see any reason why they wouldn't. I have one set as the "surround" speakers operating off an Onkyo TX-NR 646 receiver and another set as the "surround" speakers operating off a Marantz 1504 receiver in a separate room. 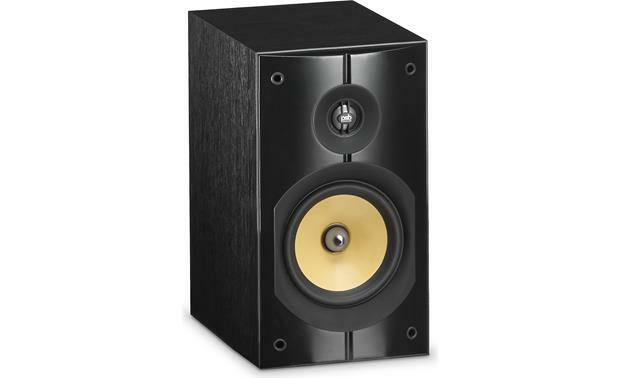 The PSB Imagine XB's are excellent speakers. I bought these speakers as part of a home theater upgrade. 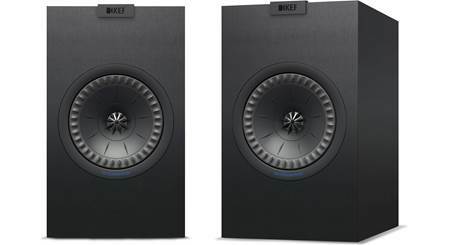 These are serving as surround speakers in a 7.2 configuration. In this application context, the speakers performance is excellent, managing mid-range and high notes effectively. I have tinnitus and also miss done higher frequencies. These have a nice clean sound and don't appear to miss anything. I suspect they would do fine for you. I have them as rear channels with Image speakers for the front, although I'd use these for compact fronts as well. I own the PSB Imagine XB's. To my ear they are a very natural and neutral sounding speaker, with very good detail in the high and midrange, but not overly harsh. I think they would probably work for you, but you may also want to listen to some Klipsch and compare. 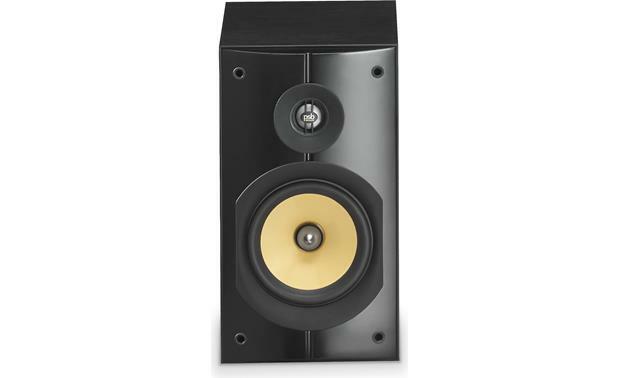 These speakers are overall very balanced speakers with a slight warm tone in the mid range. They mainly play music how the artist designed them to be. If you want a little "bite" in the highs, I recommend messing with the equalizer!
"" ℗ and © . Performed by . All rights reserved. Used by permission.
"" ℗ and ©. All rights reserved. Used by permission. 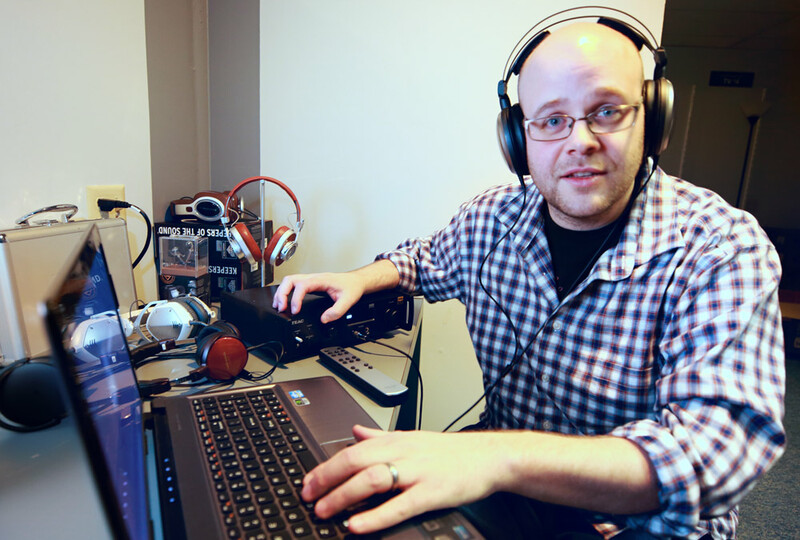 SpeakerCompare simulates the sound of home and car speakers through your headphones. It lets you compare sonic characteristics between speakers so that you can make a more informed shopping decision. SpeakerCompare tailors your listening experience to the exact headphones you have, so that what you hear is comparable to auditioning speakers side-by-side in person. Knowing which model headphones you’re using lets us remove any sonic coloring from your experience. 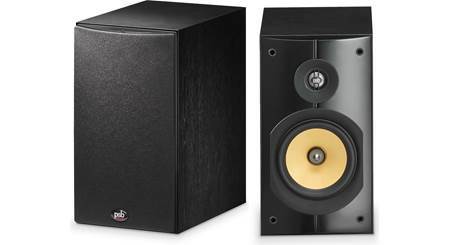 In an actual listening room, you'd find that some speakers play louder than others when fed the same amount of power. In equal power mode, you'll hear these differences in loudness as they naturally occur between speakers. In equal volume mode, we've made the loudness of each speaker about the same. This gives you a more direct comparison of subtle voicing differences between speakers. SpeakerCompare gives you a sense of the sonic differences. But performance in the real world is affected by the acoustics of your car or home, your choice of amplification, and your source material. We still believe that the gold standard for auditioning speakers is hearing them in your own environment — that’s why we offer a 60-day money-back guarantee. For free personalized advice, call 1.888.291.8923. Our Advisors have listened to most of the speakers we carry, and can help you make the best choice for your system. To help you choose the right speakers, we recommend using Crutchfield’s SpeakerCompare Listening Kit. It includes a pair of studio-quality headphones, a combination DAC (digital-to-analog converter) and headphone amp, USB mobile adapters, and a guide to getting the most out of your session. We’ve carefully chosen the components of this kit to ensure a crystal-clear listening experience. It’s available for a nominal rental fee, and includes a $25 Crutchfield merchandise credit. Important message! We've tailored the listening experience for specific headphone models, so that you can accurately hear the differences between selected speakers. 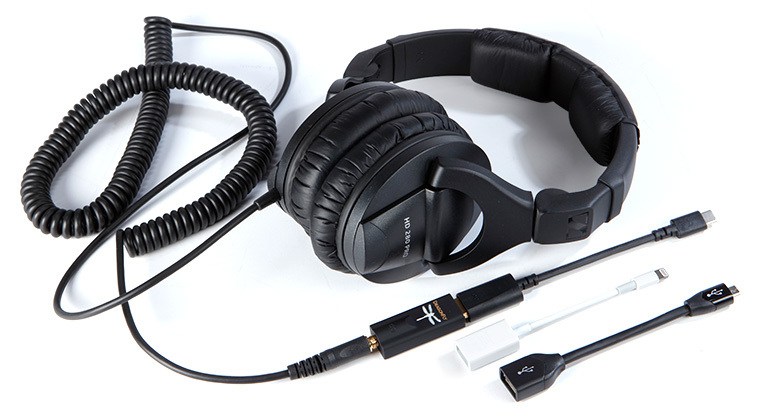 Our headphone testing and research is ongoing, so if your headphones are not currently selectable, please use the link above to request our Listening Kit. SpeakerCompare is protected by patents and patent applications owned by Crutchfield Corporation. Searches related to the PSB Imagine XB Bookshelf speakers.